Superior research, investigation and drafting skills. With over fourteen years of experience in the environmental field and seven years as an environmental attorney, Maureen Hodson is a unique asset to our team. Her experience includes guiding owners of contaminated property through the investigation, remediation, and cost recovery process, providing information and guidance on regulatory compliance matters to the industry, and advising clients on a range of environmental matters, including assessment of environmental risks in connection with complex business transactions. When an owner of contaminated property has been ordered or has volunteered to conduct an investigation and remediation, and another party is at fault, Maureen uses her cost-recovery litigation experience to ensure the client recovers as much of those costs as possible. Maureen works with project managers, agencies, and consultants to ensure all work is consistent with the National Contingency Plan, and all costs are properly documented to avoid litigation and make early settlement more likely. Maureen also has experience working with brownfields developers and agencies to negotiate a cost-effective path to site closure. 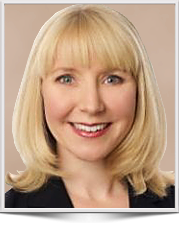 As an attorney, Maureen worked extensively with expert witnesses in a variety of highly technical areas, helping to prepare expert reports and preparing them for deposition and trial testimony. She has experience working with experts discoursing on air, soil, water, and sediment contaminated with PCBs, petroleum, solvents, metals, PAHs and other hazardous substances, as well as modeling and damage calculation. Maureen now acts as a liaison between trial attorneys and technical experts, ensuring the experts produce a litigation-ready work product, allowing the litigation team more time to focus on the legal issues. Potentially Responsible Party (PRP) joint defense groups are an efficient way to share resources among PRPs that share liability for contamination. Maureen uses her litigation experience to understand each party’s unique goals and issues, find common ground, and ensure savings among PRPs are maximized and common risks are identified and mitigated. works with the attorneys drafting the deal agreements to allocate the risk as appropriate. Maureen leverages her environmental litigation experience to identify risks that may not be apparent from the standard due diligence review, and works with the parties to create a path to closing the deal. Maureen provides regulatory compliance counseling to manufacturing clients in a variety of sectors including the food and beverage industry, investment casting and foundries, dry cleaning, waste management, and auto repair. She has experience working with agencies enforcing laws such as RCRA, CERCLA, EPCRA, FIFRA, CWA, CAA, and their state equivalents. Maureen works with clients to identify potential areas of non-compliance, provides a path through reporting, including leveraging self-audit and reporting immunities, and works with federal and state agencies to mitigate or eliminate penalties, while helping to establish cost-effective protocols to ensure future compliance. Ponder, W.F. & M. Bayer. 2004. A new species of Lortiella (Mollusca: Bivalvia: Unionoidea: Hiriidae) from Northern Australia. Molluscan Research 24: 89-102. Hodson, Maureen B. 2015. Intruder Alert: The Volatile Landscape of Vapor Intrusion Regulation. Contra Costa Lawyer Magazine, April 1, 2015.